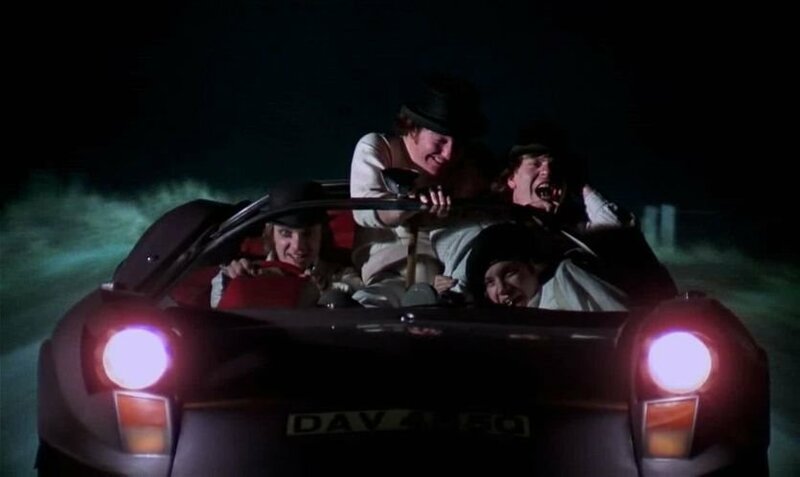 IMCDb.org: 1970 Adams Probe 16 in "A Clockwork Orange, 1971"
C'est probablement une création automobile spéciale pour le film? I think I know this one. It's a thing called a Probe, one of a series of specials designed by Dennis Adams in the UK in the late 60s and early 70s. I think at least one of the Probe variants was available as a kit car. pie-man, you are absolutely right! It is the Adams Probe 16 (1970) of which only three were built. So, should we rename it as Marcos Mantis Adams Probe 16? ..One of the kit car firms that built this car was known as Centaur. Je veux faire une precision;Pendant les Années 1969-1970 sont fabriqués a l'usine Marcos 32 Mantis designées par Mr. Dennis Adams;Equipées avec le Moteur Triumph TR6 2498cc. 143CV a 5700trmn.Malheuesement, L'usine Fait "Fallide".Et le prototype du film c'est unique et Mr. Adams sour la basse de Marcos Mantis, a realize quelques modifications, mais ne peut utilisser le nom Marcos.Quel nom? ...C'est trop difficile poser une denomination,surement Christianne Veuve Mr.Kubrick a de meilleur information. Alexander is helpful in providing the link. This was not a kit car, but rather a manufactured and serialized car. Only 3 were made by the Adams brothers. As I understand, it was the lowest (height) car ever manufactured, as well as the fewest cars ever manufactured. I have the only one still intact. All original. Perhaps I will sell it someday, as I don't get to drive it. "The Durango 95 purred away real horrorshow. A nice, warm vibratey feeling all through your guttiwuts. Soon it was trees and dark, my brothers, with real country dark. We fillied around for a while with other travelers of the night, playing Hogs of the Road. Then we headed west. What we were after now was the old suprise visit. That was a real kick, and good for laughs and lashings of the old ultra-violent." I have been looking for probes all over the world, are you Mr Phillip Karam by any chance? This appeared on an episode of Blue Peter. 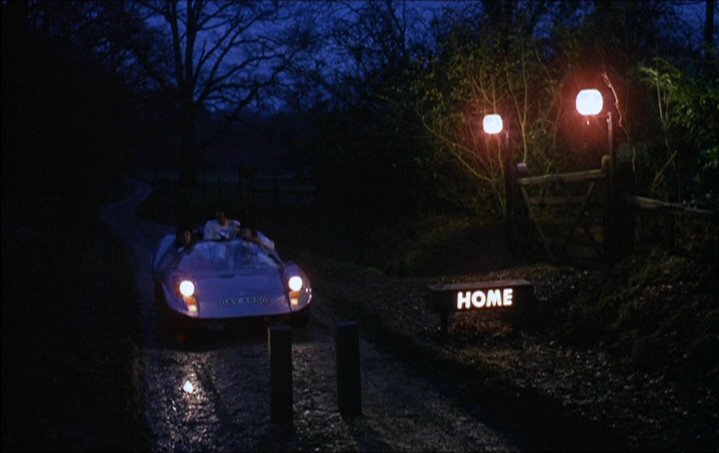 Since Kubrick was British for most of his life, maybe he got it from there, or he thought the car looked cool and futuristic. (It's a highly likely chance that it was the same car used on Blue Peter, since it's extremely rare.